My list of projects has recently grown and I've actually given myself a timeline, scary! I'm having a small get together at our home in mid September (I'll post a little more about this soon) and there are three home improvement projects I would love to have done before then. The first project is to paint our front door. I've wanted to do this since the day we moved in, but it has taken me this long to decide on the color (hubby leaves the color choices up to me). 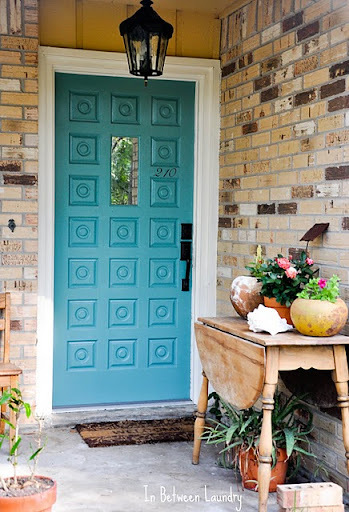 I originally wanted to paint our door red, but in recent months have completely fallen in love with teal and aqua doors. I'm hoping to get this project done this weekend, wish me luck. 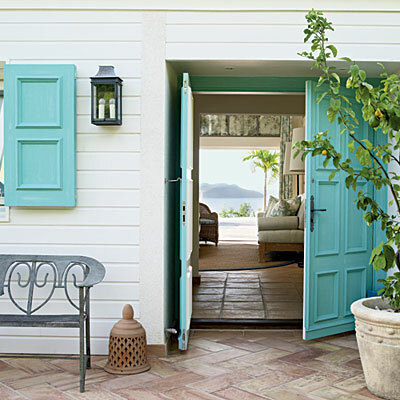 Here are a few of my favorites teal doors, aren't they gorgeous! I absolutely Love that color! It would look beautiful as a front door! That last image is gorgeous! I love the soft color of teal. 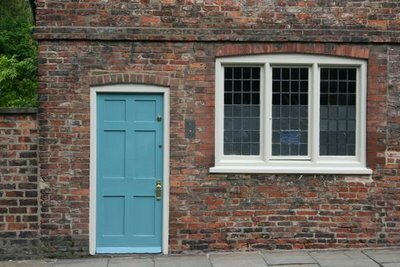 I saw the photo of your front door with your new porch railing and your door painted teal will look lovely. Thank you Muriel and Annie, I can't wait to get started!